Did you know that in 2013, Portland was ranked as the 10th most traffic-congested metropolitan area in the United States? Jump ahead two years later, and Portland is now ranked (2015) as the 8th most traffic-congested metropolitan area on a Friday in the United States. I’m an advocate for motorcycle safety and the passage of laws that improve motorcycle safety with a result of increased motorcycle awareness and driver accountability. Like many of you, I’ve been riding for a good long while and my perspective comes from years of riding motorcycles across the United States (including in California). Given the fact that Oregon continues to struggle with funding issues associated with overhauling an aging transportation infrastructure at the same time in which it is coming under increasing strain from population growth you’d think aspects of improving stop-and-go traffic situations would be relatively straightforward. It’s not! There is a lot of discussion and hand-wringing in Salem about riding motorcycles, incentivizing motorcycle use in dense urban areas and using less fuel-efficient automobiles, but few actionable plans seem to materialize or get put into motion to address increased traffic congestion. One could debate if the “let it melt” strategy for ice storms, is being applied to traffic congestion, but instead it would be “watch it get worse.” I’m still looking for a report out or the glowing “success” memo from ODOT in regards to the near Real-Time Reader Signs on Highway 217 that seldom seem to be accurate. In fairness, there have been enhancements to various roadways to “ease” some traffic congestion and construction is now happening on Highway 26 to widen the road. In addition, there is a major enhancement planned to improve traffic conditions and highway operations on I-5 from Highway 99W to I-205. Part of the Corridor Bottleneck Operations Study, the I-5 project isn’t going to start until early 2018 and hopefully be completed by the fall of 2019. Senate Bill 385 – Lane Sharing (Highways Only) — Bill would have made lane splitting legal, but has died in the Senate Judiciary Committee. The Governor’s Advisory Committee on Motorcycle Safety (GAC-MS) discussed, debated and identified merits and problems with this legislation, and decided at its February 16, 2017 meeting to oppose SB 385 by a 5-2 vote in the name of motorcyclist and motorist safety. ODOT opposed passage of SB 385 citing that Oregonians don’t support this motorcycle riding practice and that the safety of motorcyclists across the state of Oregon will be compromised. The AAA and the Oregon Trucking Association also testified against the bill. The next legislative session opportunity is now in 2019. You might recall that there was an identical bill which failed two years ago — SB 694. Interestingly this bill received initial support from the GAC-MS. The group provided written and verbal testimony in support of the bill which made it out of committee (unanimously) and passed the full Senate with a 2/3 bipartisan majority before failing in the House. The GAC-MS changed its position after SB 694 passed the Senate and then opposed the bill at the House Committee on Transportation and Economic Development. It’s unclear why the Committee’s position switched or the mixed messages on the riding practice. What is the Governor’s Advisory Committee on Motorcycle Safety (GAC-MS) you ask? It’s an influential group comprised of eight volunteer citizens who advise the Governor and the Governor’s Highway Safety Representative on motorcycle safety issues and legislation. 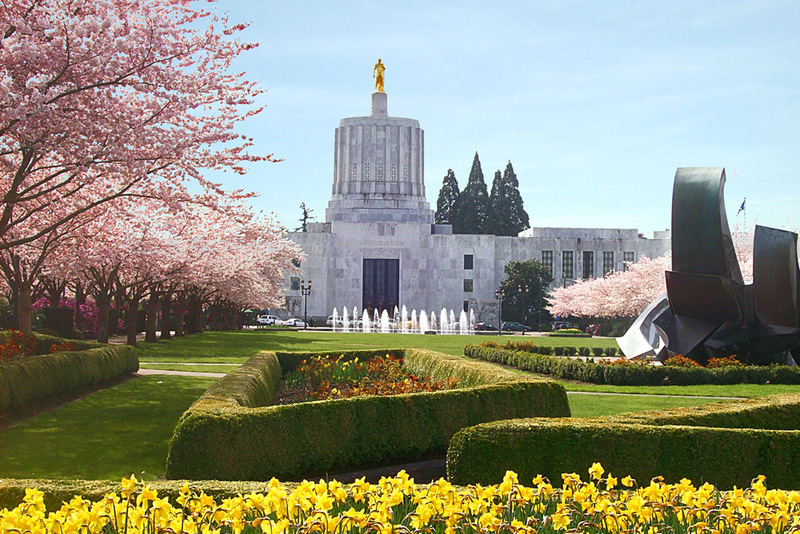 The GAC-MS reviews legislation that could or might affect motorcycle safety in Oregon. The Committee consider’s input from Oregon Confederation of Clubs, Abate of Oregon, BIKEPAC of Oregon, Law Enforcement, ODOT, AAA, Trucking Association to name a few and from motorcyclists and organizations in support of motorcycle legislation. House Bill 2665 — Lane Sharing (Lanes and Shoulders) — Allows operators of motorcycles and mopeds to travel on the shoulder of highway during traffic jams or slowdowns. The Governor’s Advisory Committee on Motorcycle Safety Committee voted to oppose 7-0. Senate Bill 680 – Lane Sharing (All Roads) — Allows operators of motorcycles and mopeds to travel between lanes of traffic or between adjacent lines or rows of vehicles during traffic jams or slowdowns. The Governor’s Advisory Committee on Motorcycle Safety voted to oppose 7-0 in a previous meeting. House Bill 2598 – Vehicular Assault of Motorcycle Riders (Enhanced Penalties) or often called the “Driver Responsibility Bill” — Expands offense of vehicular assault to include contact with motorcycle, motorcycle operator or motorcycle passenger. Specifically adds motorcyclists (and/or their passengers) to a current Oregon law that provides those who operate another vehicle recklessly resulting in contact with and injury to a motorcyclist and/or their passenger to be possibly charged with the crime of “vehicular assault” and its associated penalties. There is no specific provisions to protect motorcyclists from reckless drivers and there is no specific accountability for drivers that injure a motorcyclist as opposed to a pedestrian or a bicyclist, and motorcyclists are not on the vulnerable users list. The bill has moved thru the House committee with a “pass” recommendation and is headed for House Floor vote. The Governor’s Advisory Committee on Motorcycle Safety voted to oppose 4-3 the bill and is determining how best to communicate the Committee’s position to the legislation. House Bill 2599 — Helmet Choice — Requires only persons under 21 years of age to wear motorcycle helmet while riding on or operating motorcycle or moped. This is an emergency bill and would take immediate effect upon passage. Topics discussed included: individual choice, what happens when a rider doesn’t have health insurance and needs long-term care, the efficacy of the age requirement, the inability to see or hear as well when wearing a helmet. The Governor’s Advisory Committee on Motorcycle Safety voted to oppose the bill. Senate Bill 36 – Three Wheel Motorcycle Skills Testing – Waiver — This bill eliminates the requirement that DMV conduct a skills test prior to issuance of a restricted three-wheel motorcycle endorsement. Individuals applying for the three-wheel motorcycle endorsement would still take the motorcycle knowledge test. There are approximately 45 tests offered per year at five DMV field offices for the restrictive three-wheel motorcycle user. The DMV is not currently granting waivers to three-wheel cycle users and that users who want a three-wheel motorcycle only endorsement still have to take knowledge and skills tests and receive a unique endorsement. The Governor’s Advisory Committee on Motorcycle Safety voted to support the bill. I’ll continue to update this blog post as I learn about any bill updates during the 2017 legislative session.